Criminal Tax Attorney Bolingbrook: Avoid Tax Penalty Scams! I have an interesting story below. It’s a short 2-3 minute read, but it’s worth the time. I am a tax lawyer that provides various types of IRS Representation. I receive phone calls every week, for all types of IRS problems: collections, audits (examinations), and criminal matters. And sometimes other matters too. I could tell the caller was very emotional at that moment, very afraid, maybe even in tears. (Sudden visits by IRS Special Agents usually have that effect on people!) I wanted to calm this person’s fears. But before I could offer any legal advice, we both exchanged a few more questions. Me: “In a situation with IRS, best thing is to contact an attorney, preferably a Criminal Tax Attorney to get control of the situation. But not all criminal lawyers deal with IRS. And not all tax lawyers handle criminal tax cases. So you did well contacting me. Me: “Ok, calm down. Listen, IRS doesn’t work that way. Actually, no tax authority in the U.S. will do that without due process. But that’s another conversation. But look, IRS arrests are for people under formal suspicion, formal charge for criminal tax offenses. In such a case, an arrest might be for something like 26 USC Section 7201, Tax Evasion. Or maybe Section 7206, Fraud and False Statements. Yes, this was an actual call today. It took some convincing that there was nothing to fear. The IRS scam artist was also very convincing. But the bottom line was: IRS and state tax agencies just don’t those type of calls. 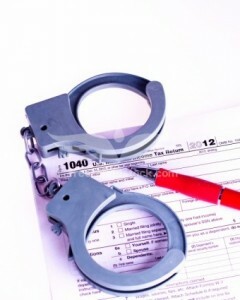 And there is a very clear process that IRS must follow in handling criminal tax matters. Everyone, please, be careful out there. Beware of these IRS tax scams — people demanding payments, credit cards numbers, or other identification information. More recently now, large city suburbs like Bolingbrook and Lisle have also become target areas. Anyone could have received this scammer’s call today. Be mindful of this problem. Always use your judgment. For expert tax representation, contact attorney Jeffrey Anton Collins. Again, be careful.